Twenty years ago I stood sweating in the humid, stifling gloom inside one of the most famous Mayan ruins in the Yucatan, the giant pyramid of Chichen Itza. 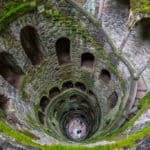 Although not generally claustrophobic, I found myself having second thoughts as I contemplated climbing the steep, narrow stone staircase that disappeared into almost complete darkness above. 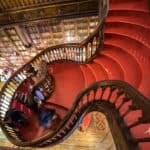 I had been told that at the top of this 5-story climb I would find a small chamber containing a red jaguar throne inlaid with jade, and not just a replica but the ACTUAL artefact found almost 100 years ago. 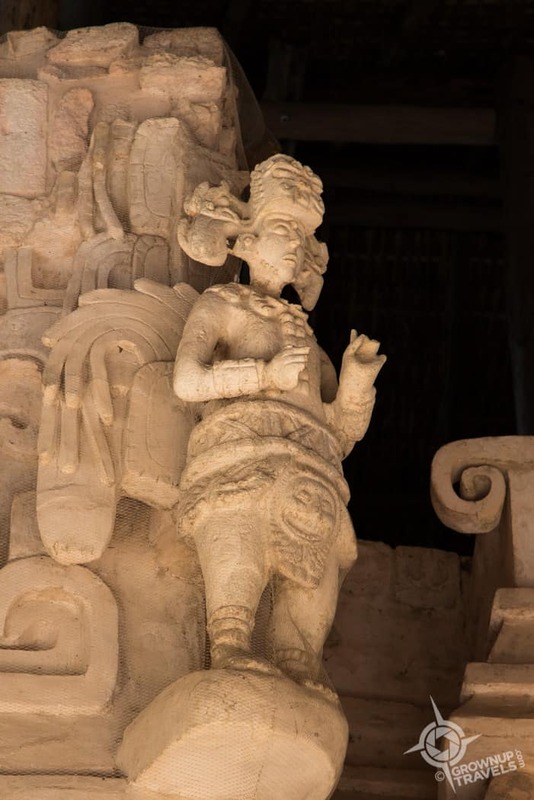 My inner explorer prevailed, and I used my hands to guide my ascent up the slick stone steps where I peered through a rusted iron gate at the red balam (“jaguar” in the Mayan language) and the mysterious Chac Mool altar standing guard in front. As an ‘ordinary human’ I felt very privileged to have access to this inner sanctum that I thought was reserved for archaeologists and historians. But even at the time, I knew this type of access would not last forever, and sure enough, by 2006 visitors could no longer enter or climb El Castillo, inside or out. 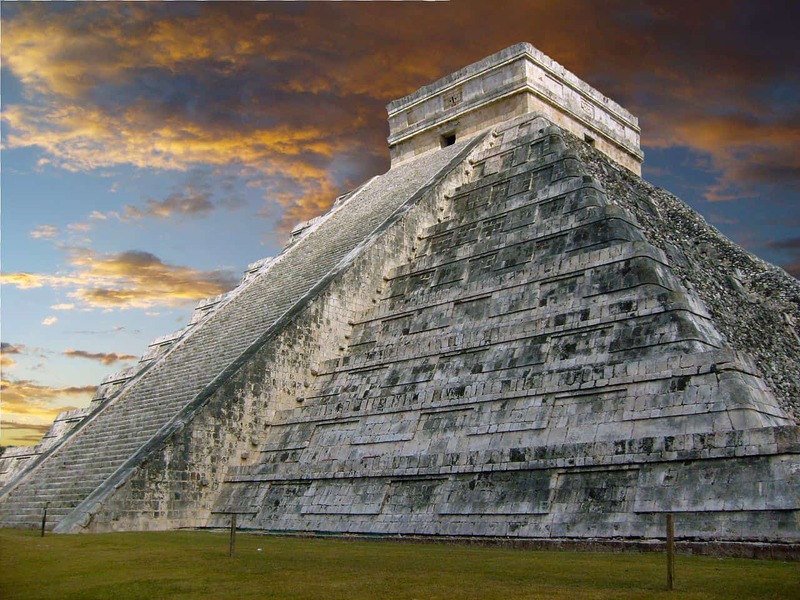 In 1994, I could climb inside the interior of the pyramid at Chichen Itza to see the red jaguar throne with only a Chac Mool statue and a gate between us. 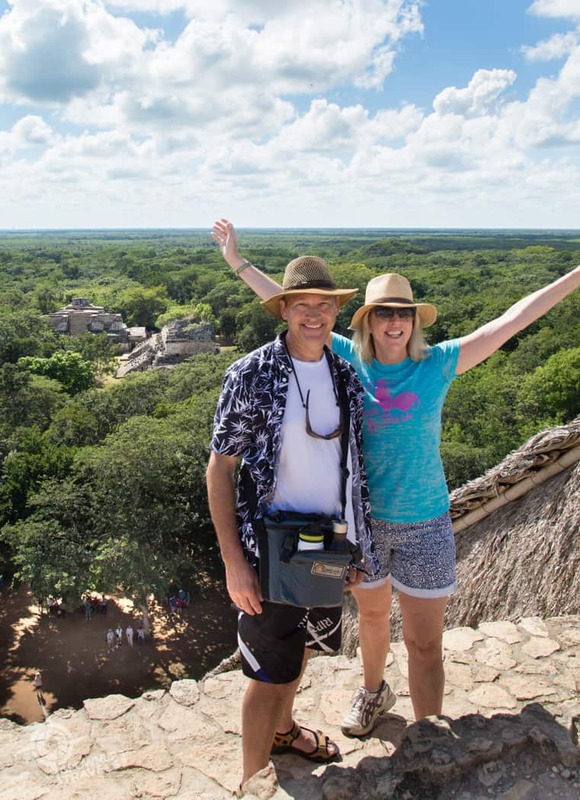 So imagine my surprise and delight when less than 2 months ago, I found myself climbing to the top of another Mayan pyramid, this time at the little-known ruins of Ek’ Balam, a hidden gem in the Yucatan peninsula that means ‘Black Jaguar’ in the Mayan language. Better still, this mysterious jaguar hid one of the region’s best-kept secrets: one of the most beautiful and perfectly preserved tombs in all of Mesoamerica! 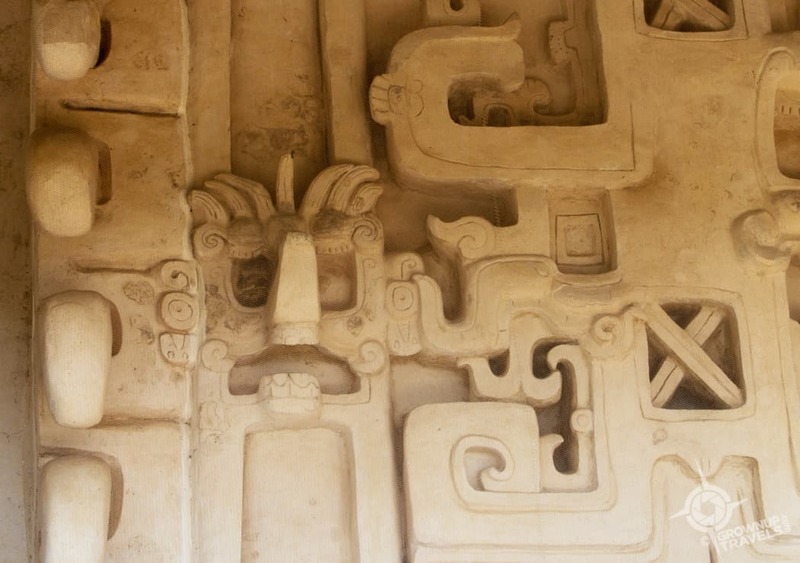 Ek’ Balam, the Yucatan’s Hidden Gem – so why haven’t we heard of it? 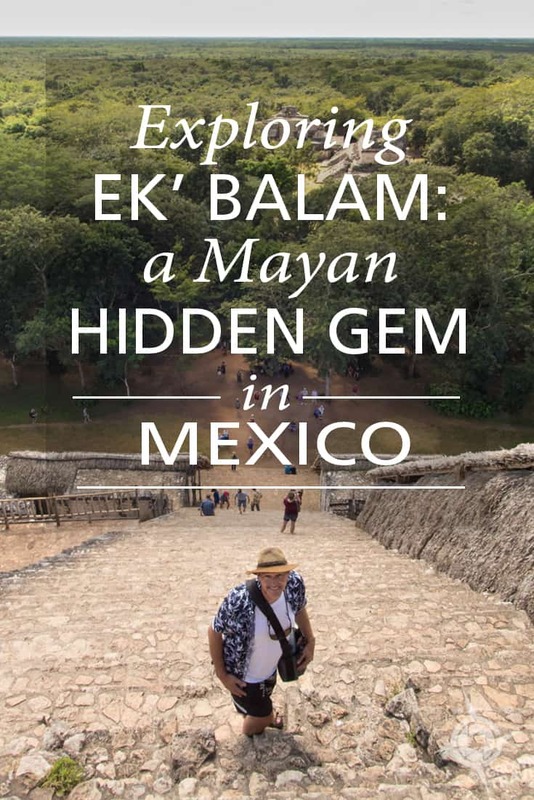 If you’ve never heard of Ek’ Balam, you’re not alone. 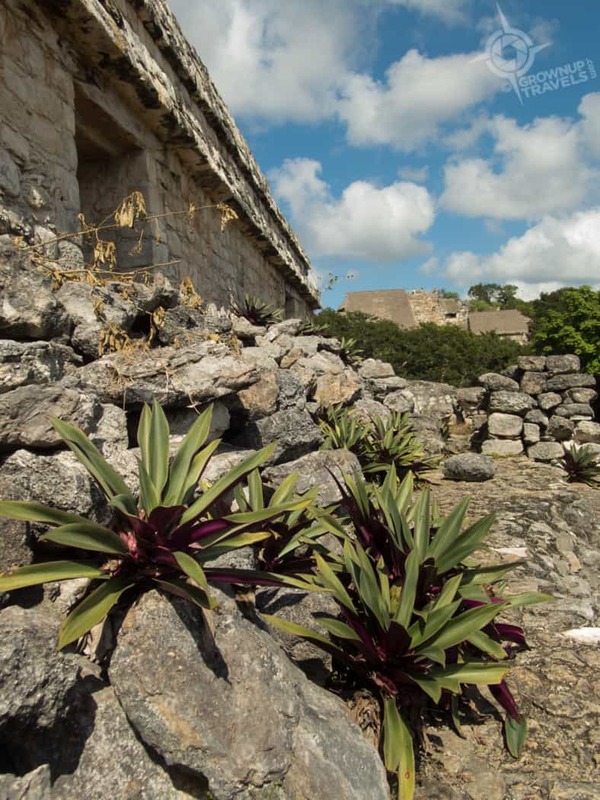 Even though the site was known to archaeologists for more than a century, excavation only began in the late 1990s, which is why many visitors to the Yucatan do not know it is even there. 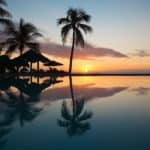 Yet it is only about a 90 minute drive from some of the most popular resorts on the Mayan Riviera, making it the perfect destination for people who are looking for a cultural excursion. 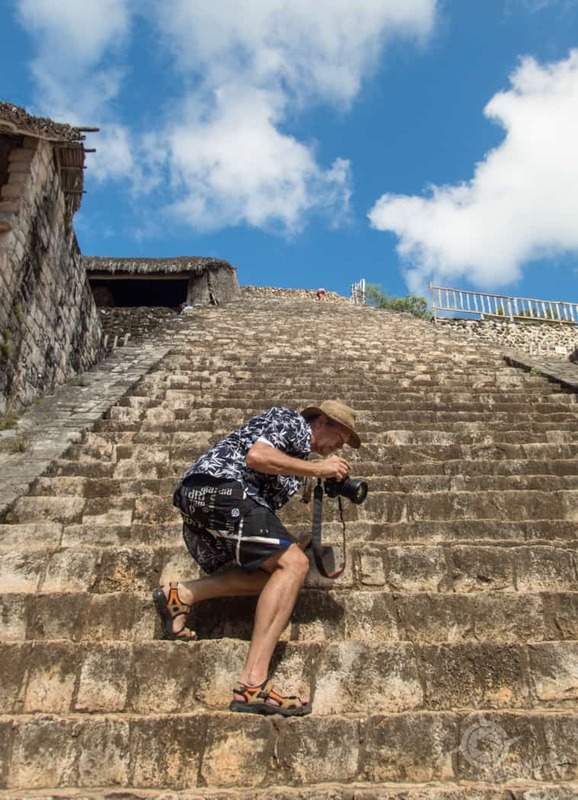 Henk and I were lucky enough to be invited to tour Ek’ Balam by tripcentral.ca while we were guests at the Grand Oasis Tulum and we jumped at the chance. (Our all-day tour also included a visit to a spectacular cenote which you can read more about here). Ek’ Balam is off tourist’s radar so we had the ruins to ourselves with no crowds! 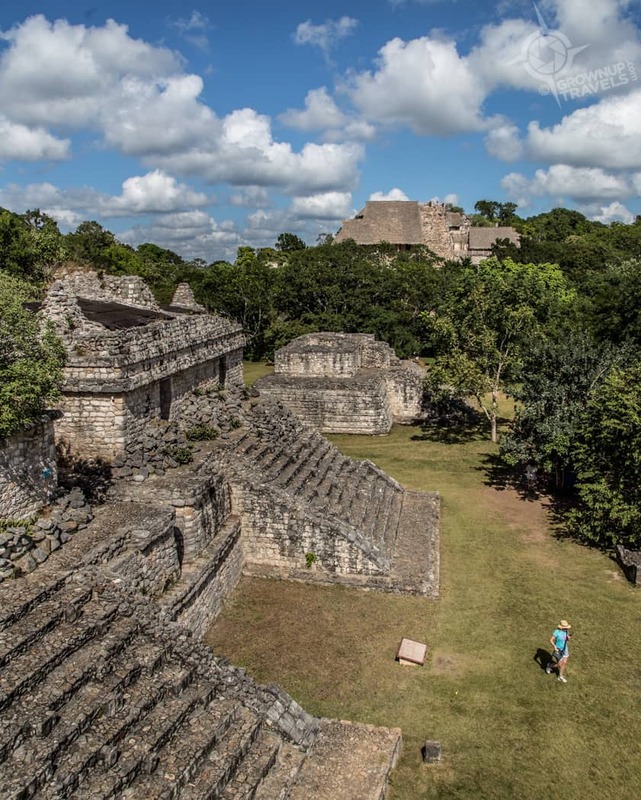 Like the other ancient sites scattered throughout Central America, Ek’ Balam’s structures were swallowed up by the jungle that surrounds it, another reason why the site was hidden for centuries. Even after being carefully excavated and stripped of the overgrowth of vegetation and trees, the now-visible structures must be maintained constantly in order to keep the jungle at bay. It’s an ongoing battle, as evidenced by the bromeliads and other plants that manage to take root on the temples less than a year after being removed. 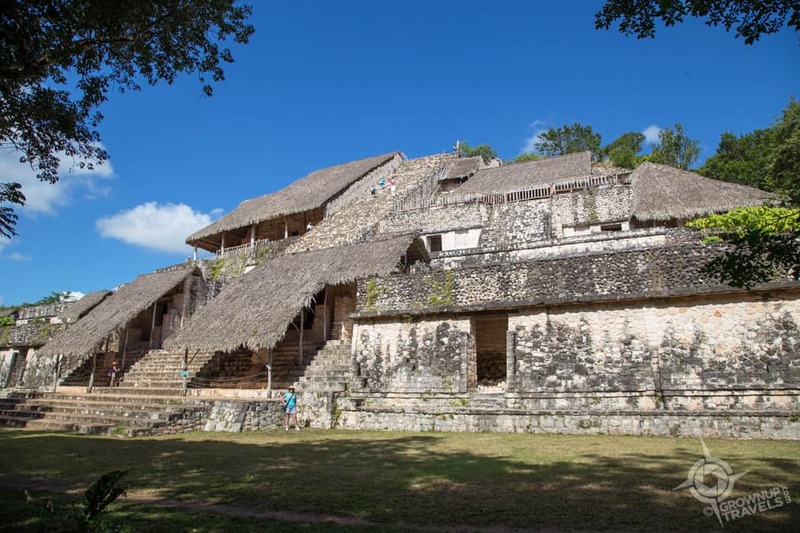 There is a lot of cost and effort that goes into reclaiming an archaeological site like this and since the excavations at Ek’ Balam are relatively recent, there are only a few of the structures completely restored. 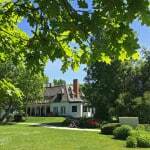 But what has been uncovered is impressive and there are many more hills and mounds nearby which are indications that there is much more to be discovered. 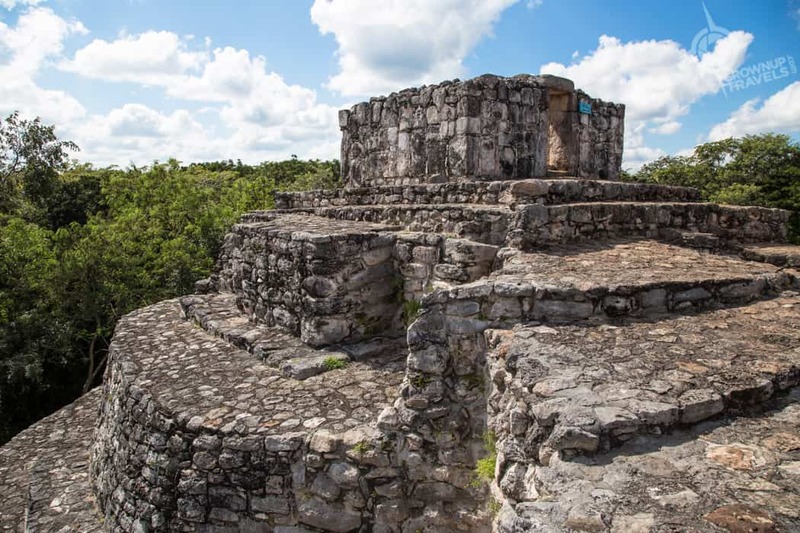 The Yucatan is a naturally flat plateau, so if you see high hills or mounds covered with trees in this region, these are most likely archaeological ruins. The Arco de Entrada (Entrance Arch) was probably used for ceremonial processions, with ramps that lead from the road up and through the city walls on either side. The remains of these stone walls are quite low now but they would have been topped with wooden poles to make a much taller barricade during Mayan times. 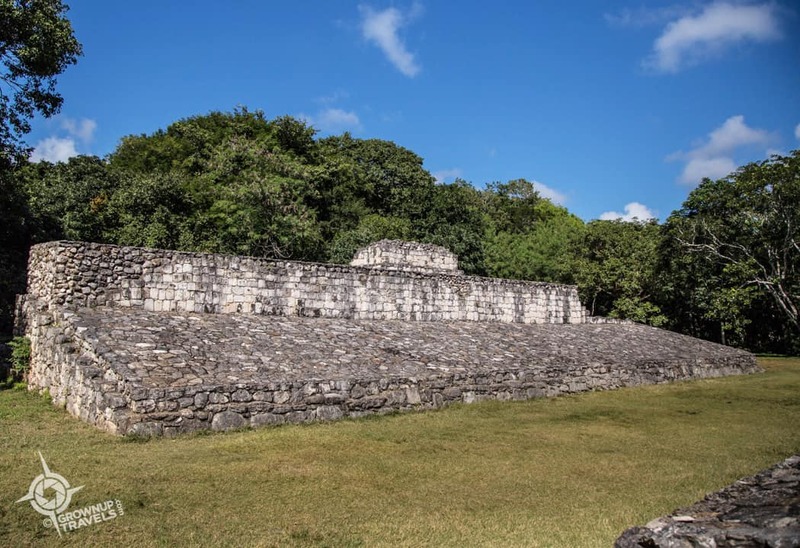 There is also a Ball Court here which, like other examples in the Yucatan, may have been linked to games in which winners – or losers – were beheaded (the debate is still on as to who lost their heads and why). An Oval Palace built on top of another rectangular base was most likely used for ceremonies relating to astronomical or cosmological events on the Mayan calendar. 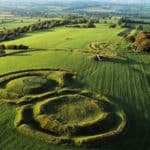 Similarly, there are two other temples here, the Twins, identical structures built facing each other with a corridor between which aligned with the sun during the solstices. 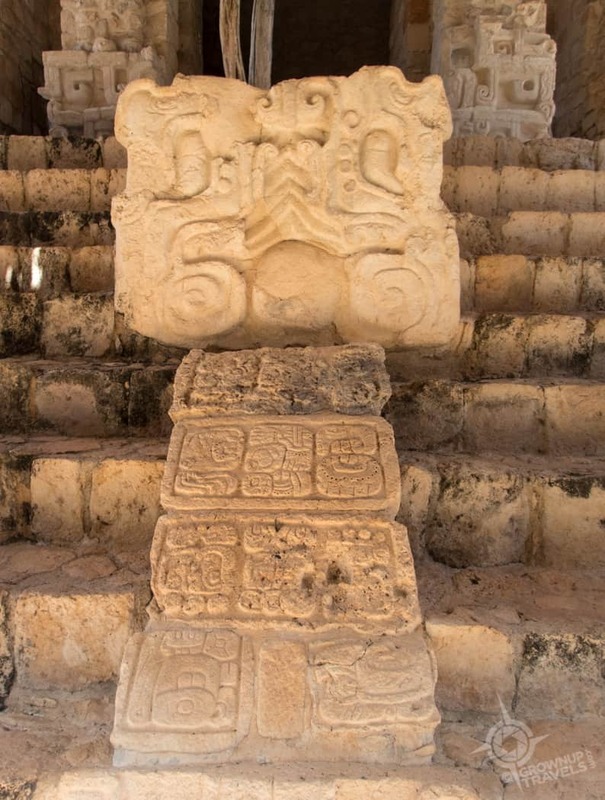 Although many of the buildings and temples at Ek’ Balam were used for ceremonial and sacred purposes only, the most spectacular structure at Ek’ Balam is the imposing Acropolis, a 96-foot tall pyramid-shaped limestone structure with 6 levels that served as apartments for the Mayan elite who actually lived here on the plateau. 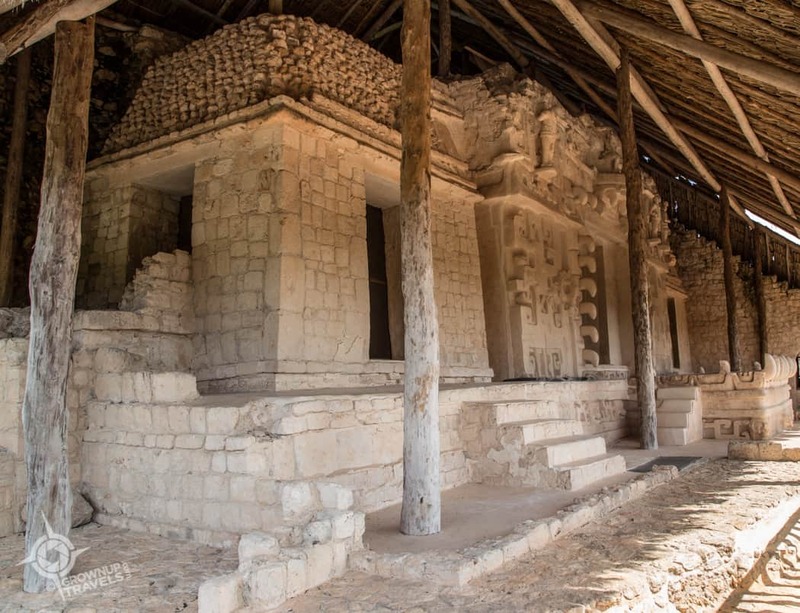 It is also here on the 4th level that archaeologists made one of the most surprising and beautiful discoveries in Mesoamerica: the perfectly preserved royal tomb of the first and greatest Mayan king, Ukit Kan Le’k Tok’. 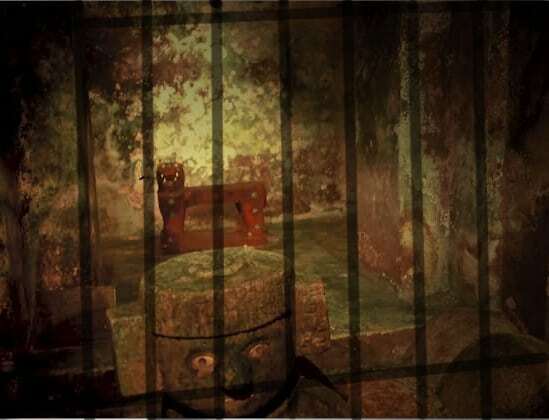 Ukit Kan Le’k ruled for 30 years during which Ek’ Balam became the greatest power in the area, but it was actually a happy accident that his tomb was even discovered at all. None of the tomb was visible when the Acropolis was first excavated in the 90’s, as the facade of the tomb had been covered in stones and powdered limestone by the Mayans more than 1200 years ago after the king’s burial. 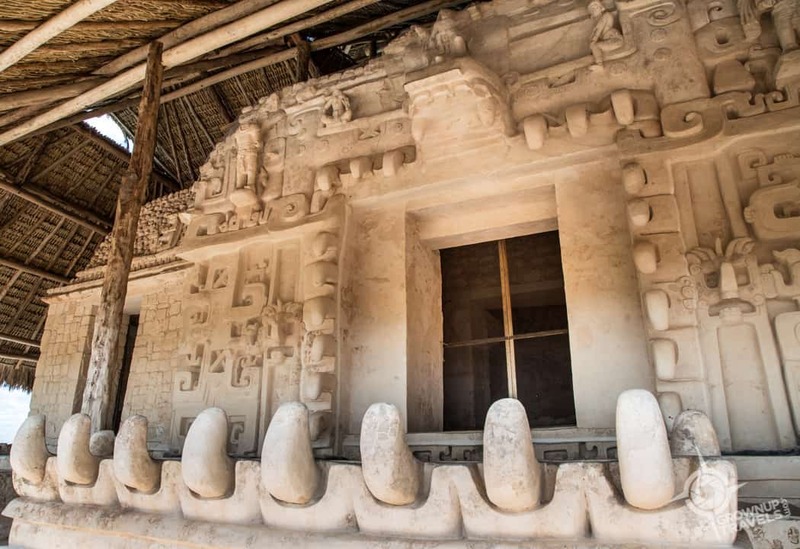 Our tour guide told us that one of the workers excavating the site discovered a piece of a carved arm, which led the archaeologists to uncover a perfectly-preserved stucco facade, decorated with intricately-carved figures and a giant altar resembling the open mouth of a jaguar. Behind the facade in the inner chamber lay the body of the king, surrounded by funerary offerings and clutching a human femur in one hand. One end of the femur was carved to a point and there was a carved hieroglyphic inscription on it that indicated the bone belonged to the king’s father. Apparently it was an ancient Mayan tradition to retrieve their ancestor’s bones for use in rituals designed to communicate with the dead, and the pointed bone might have been used for a blood ritual of some kind. What is also interesting to note is that a painted capstone above the king’s burial represented the king as the Maize God, but with a deformed upper lip, an unusually individualized depiction a ruler. 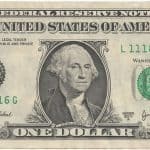 Typically, the upper class and rulers in particular would idealize their appearance, especially in art. In real life too, Mayan aristocrats practiced head-binding in order to modify their skulls into a high, pointed shape that some scholars believed mimicked the shape of corn, a symbol of fertility and a centrepiece in Mayan culture. 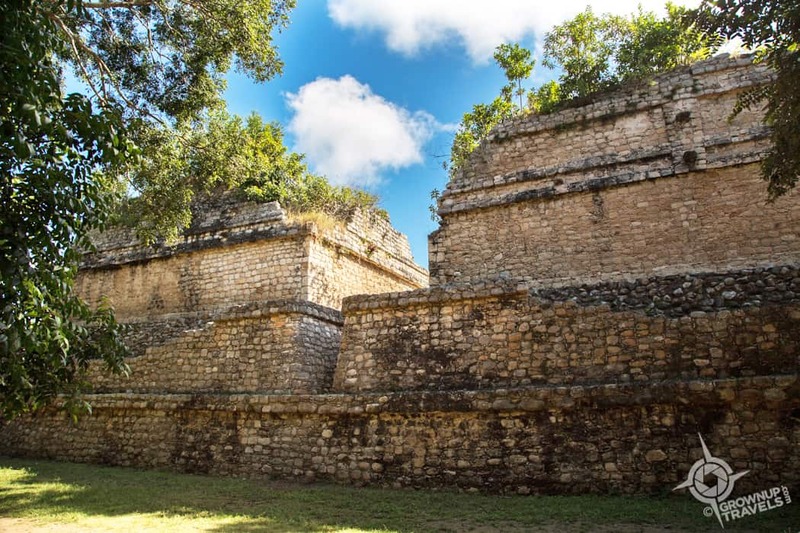 The beauty of Ek’ Balam, apart from the obvious, is that here visitors are allowed to explore any and all of the structures on the plateau. Climb halfway up the staircase of the Acropolis and you are standing within a few feet of the tomb’s impressive facade. 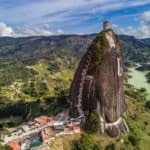 Or climb to the very top for a breathtaking panoramic view over the surrounding jungle and a birds-eye view of the rest of the site. The limestone staircase is pretty steep but easy enough to climb. 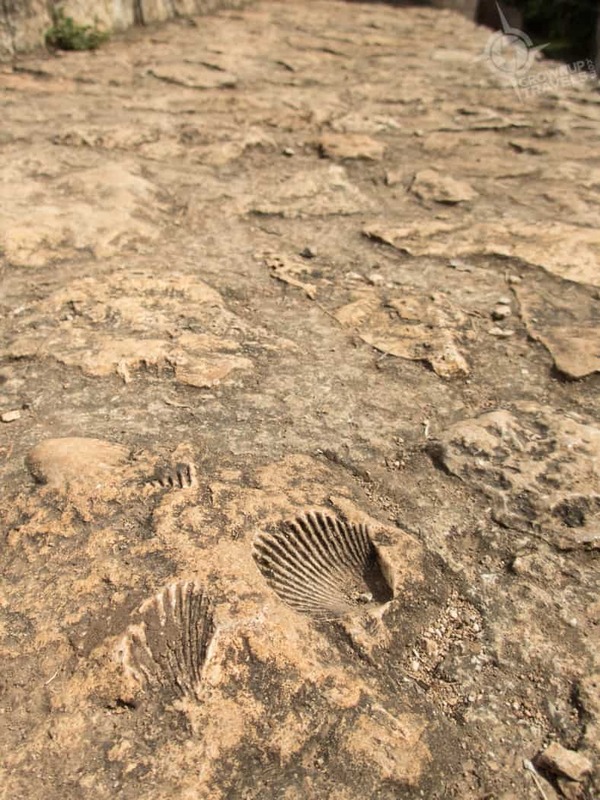 And along the way, check out the fossils in the stones that were used to build it. Climbing to the top of the Oval Palace gives you a great view back at the Acropolis which shows you just how much taller it is than the other temples. 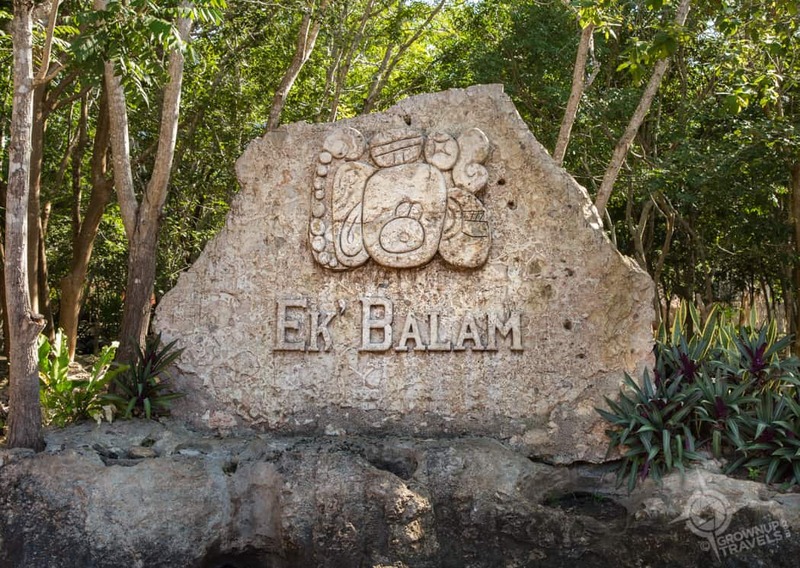 Wherever you go at Ek’ Balam, you are literally following in the footsteps of the ancient Mayans at one of their most sacred and important sites. But as fun as it is to clamber all over these ruins, feeling like Indiana Jones or Lara Croft, it’s important to remember that this is a privilege, and one that will likely not last forever. 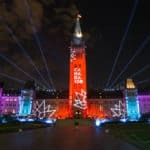 The more visitors that come here, the more damage they do to the ruins even inadvertently, and I have no doubt that it is only a matter of time before this kind of unlimited access will be restricted or disappear altogether. 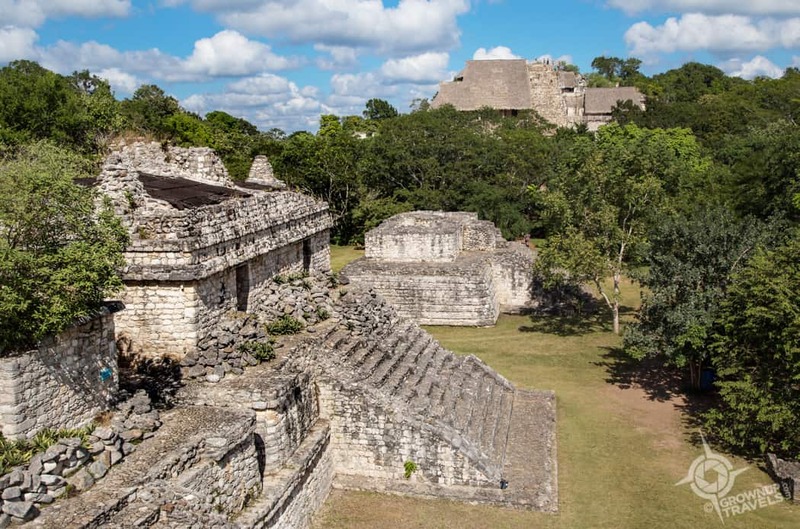 For this reason, if no other, now is the time to visit Ek’ Balam and enjoy its relative obscurity. Because twenty years from now, it might be you recalling “that time in 2018” when it was still possible to climb up to see the perfectly preserved tomb of the city’s greatest king and wander around the near-deserted ruins of his ancient city. 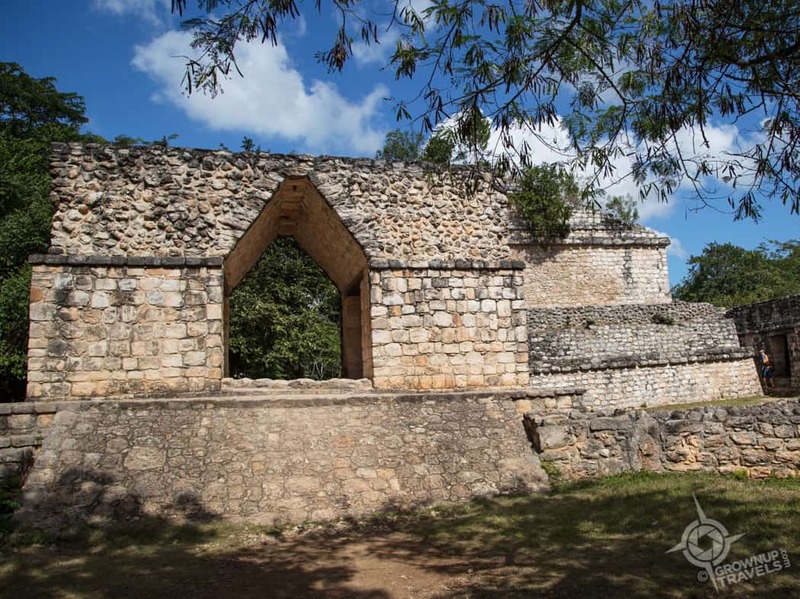 TIP: We visited Ek’ Balam in November and the temperature was around 28 C. If you are here during the hotter months, be sure to wear a hat and bring water with you, especially if you plan to do any climbing. The plateau is exposed and can get uncomfortably hot. WHERE TO STAY: If you are looking for a place to stay on the Mayan Riviera as your base for exploring the region, read our review of the Grand Oasis Tulum resort. You obviously had an awesome time in Mexico exploring this astonishing place, Jane. Thanks for bringing this hidden gem closer. Is it less crowded in the morning? Wonderful to read and see things that I did not know existed. How smart our ancestors were. so true, Claire! I’ve always been fascinated with ancient cultures for exactly that reason!